Praise, encouragement and positive reinforcement are common place in the Academy. Classes are enjoyable, entertaining and planned to ensure the attention of the students and have everyone wanting to come back for more. Another reason our adult program is so successful is because we make the classes fun and exciting. We learned a long time ago that if people are having fun, they learn much faster. 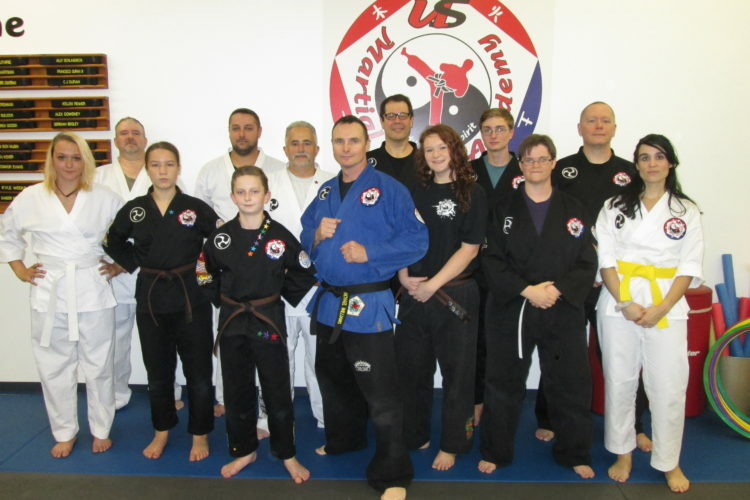 Setting and achieving goals, getting in shape, and building martial arts skills provide for an exciting experience. Increased strength and stamina boost energy so you feel great all day. Excellent cardiovascular workout; keeps you in good health!